The international Cundill History Prize today announced the British historian Daniel Beer as the 2017 winner of the US$75,000 prize – the richest in non-fiction for a single work in English. The London-based historian was awarded for his ground-breaking study of Siberian penal colonies, The House of the Dead: Siberian Exile Under the Tsars (Allen Lane). Beer, who lectures at Royal Holloway, University of London, was chosen by the jury of world-class historians and authors over the US-based Austrian Walter Scheidel and the Université du Québec à Montréal professor Christopher Goscha. Margaret MacMillan, Chair of the Jury, made the announcement at the Cundill History Prize Gala at the Montreal Museum of Fine Arts. Run by Canada's McGill University, the international Cundill History Prize rewards the best history writing in English. Choosing from a record 300 submissions, the jury unanimously agreed that The House of the Dead stood above the formidable competition as a work of history that delivers exceptional scholarship in a relevant and accessible read. The two runners up each received a Recognition of Excellence Award, together with US$10,000: Christopher Goscha was awarded for his definitive history of Vietnam (Vietnam: A New History, Basic Books), Walter Scheidel for his controversial economic thesis The Great Leveler (Princeton University Press). 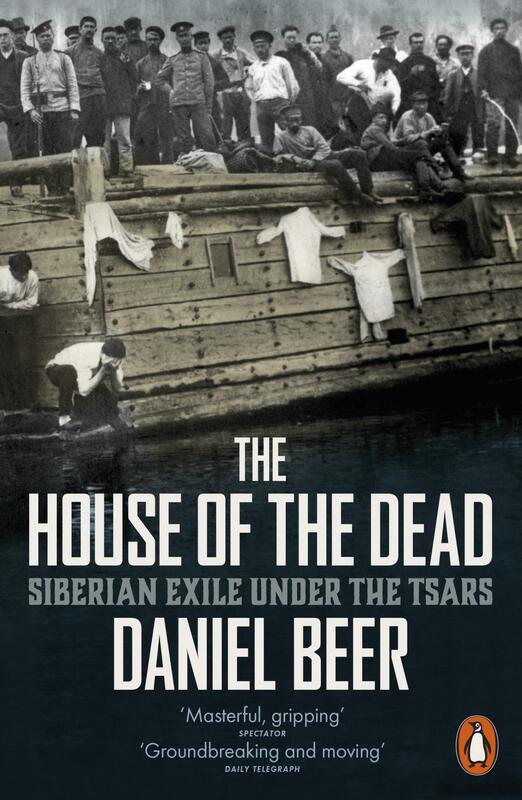 The House of the Dead has also been shortlisted for The Wolfson History Prize, The Pushkin House Russian Book Prize and the Longman History Today Prize, 2017.